Each quilt is lovingly handmade using 100% cotton fabric, with a cotton batting in the middle for warmth and comfort. 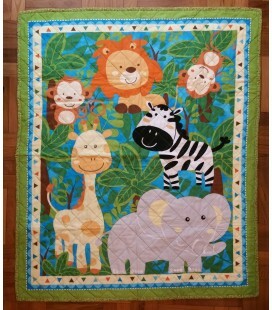 Our quilts are all reversible and can double up as a play mat. Each piece is unique and we only make 1 piece per design.